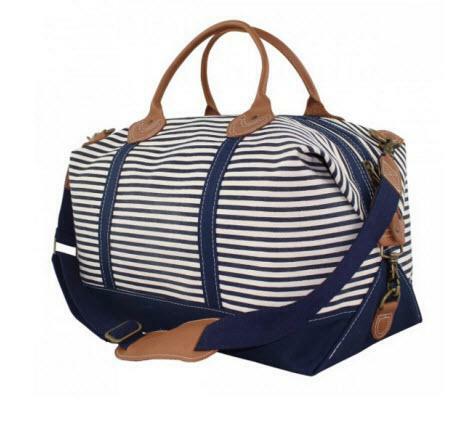 Whether you are off to college, visiting family, going for that weekend getaway with friends then this large accommodating monogrammed weekender in navy stripes is a must have for any luggage collection! 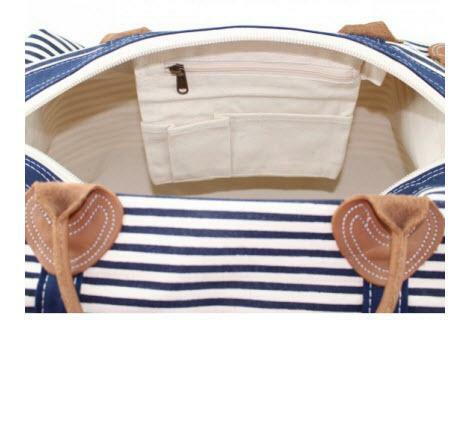 Unzip the zipper top closure and see a large zipper pocket with two open pockets attached to help keep you organized. 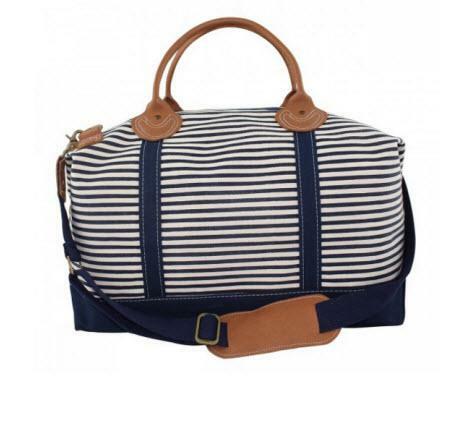 Carry by two leather handles or by the detachable and adjustable shoulder strap that has leather padding. For your own personal touch add your monogram in your favorite thread color and your choice of font.